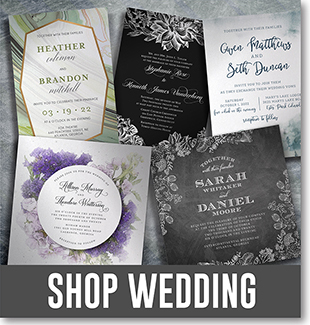 Select a category to browse our exclusive designer crafted invitations. USING A TABLET? For the best experience, please turn it to the wide/landscape orientation. Creative, distinctive invitations unlike anything you've seen before! Unparalleled print quality with fast turn times and low printer-direct pricing. Free customizing by our team of professional graphic designers to make each invitation uniquely yours. Our designer crafted invitations are truly unique because we are the designer and printer. Other companies may outsource their design or invitation printing, but at EventPrints, we print everything in house. When you order from us, you'll eliminate the middle man. No hidden markups or fees to inflate your price. Just modern, elegant invitations and Save the Date Cards that you'll be proud to send to friends and family. Plus fast invitation printing for most any deadline. We also offer tremendous value by including the features you really want at no extra charge! Free return address printing and free invitation paper upgrades can save hundreds of dollars. Plus, caring, professional service by a team dedicated to make buying premium invitations as easy and carefree as possible. 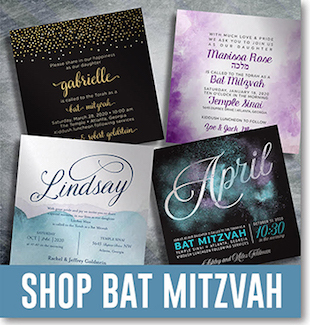 EventPrints is the best place to purchase distinctive Wedding Invitations, Bar Mitzvah invitations or Bat Mitzvah invitations! Our designer crafted invitations are only the beginning! We offer Party Graphics and Event Decor for everything from Dance Floor Decals to Menus and Table Numbers. 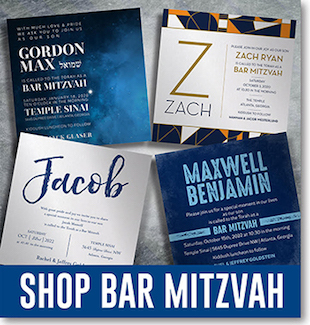 We have everything you need to help you host a memorable Wedding or Bar or Bat Mitzvah!